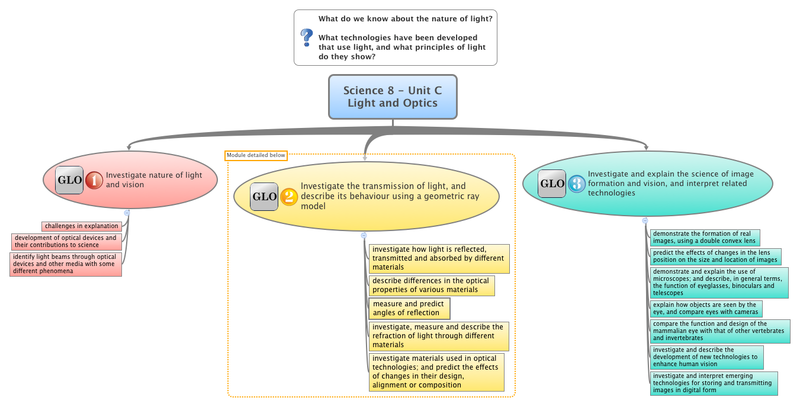 Here is a link to a module (a single GLO) from the Alberta Ed Science 8 curriculum, from the Light and Optics Unit (C). The technology used in this unit includes creating video, concept maps, and a website. The entire PDF contains the unit at a glance (larger version of that here), description and rationale, lesson plans, performance task and checklist.